Olu Dara on cornet. Nichlas Payton and James Zollar on trumpet. Curtis Fowlkes and Clark Gayton on trombone. Don Byron on clarient. Don Byron (he is most talented, isn't he? ), James Carter, Jesse Davis, David "Fathead" Newman, Craig Handy, David Murray, and Joshua Redman on saxophones. Russell Malone adn Mark Whitfield on guitars. Geri Allen and Cyrus Chestnut on piano. Ron Carter (The DEAN! ), Tyrone Clark, and Christian McBride (The Assistant Dean) on Bass. Victor Lewis on drums. Kevin Mahogany on vocals. Simply an incredible collection of young players enjoying each other's company and musical repartee. 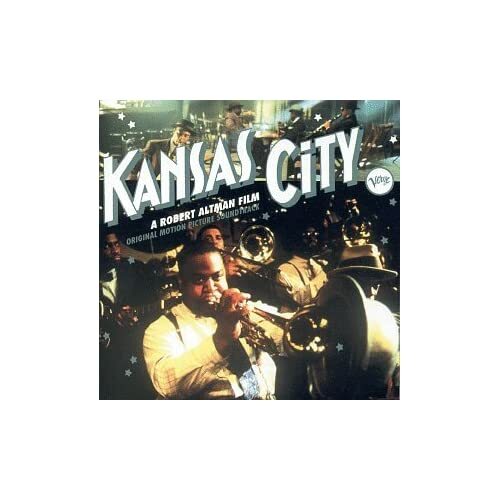 This album was released in 1996 when Robert Altman's film, Kansas City, came out. As a pseudo-live recording, it's hard to top the energy and joy of this recording. The 7 minute 24 second version of "I Left My Baby" (Jimmy Rushing's signature song), with Kevin Mahogany letting it all out is worth the entire CD. But, the other 11 songs are equally persuasive in keeping you hooked to the speakers. Rot-gut, shambling, can't-sit-still, rambling movement of energetic notes and nuances. This music will wake the dead and keep them dancing. I latched on to this CD because of Mr. Chestnut, who released Spirit in 2009, an album for a future discussion.